Travel to some of the world's most beguiling tropical islands to taste the true flavour of the Spa Holidays in the Indian Ocean. From the tiny atolls of the Maldives to the multicultural charm of Mauritius, you can be sure of a warm welcome and superb service. Just looking at the Indian Ocean at a glance, the incredibly pure white beaches, gently lapping shores and a vast spread of blue sky - this calm, tranquil paradise is the setting for your holiday in the Indian Ocean. Take Maldives and Mauritius for example, these two beautiful islands not only do they give you the charm of luxury and pleasure but a lifetime experience. 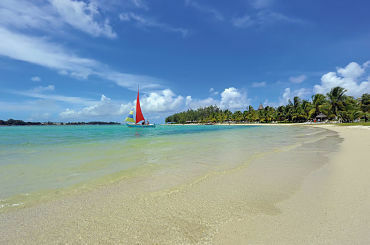 Even a brief stay at the Shanti Maurice resort & Spa will show this boutique lifestyle resort located around a pristine horseshoe coral sand cove, on the largely untouched south coast of Mauritius. Stay 7 nights from £1899 p.p. in a Junior Suite Ocean View, including Half Board, return economy flights & transfers. Surrounded by the turquoise blue waters and white sands for long distances the island of Maldives is a heaven for tourists. 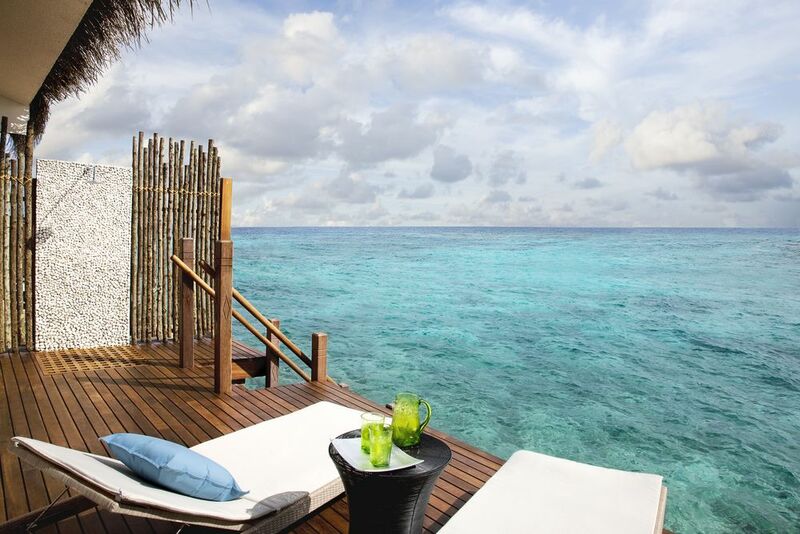 Relax and unwind close to the calm blue waters and take a much-needed break in the tranquil environment of Maldives. A holiday at Maldives offers you a chance to unwind and to regain your dripped wellness levels. Stay 7 nights from £2269 p.p. in a Park Villa, including Bed & Breakfast, return economy flights & transfers. Stay 7 nights from £1789 p.p. in a Garden Suite, including Half Board, return economy flights & transfers. Surrounded by the world’s most pristine beaches and brilliantly clear ocean waters, it is home to the legendary Raffles Praslin. The blue waters and sparkling white sands is what you can expect on a Spa holidays here. As nature intended - it is one of the world’s best-kept secrets and ranks among the purest destinations anywhere. So pure indeed, that the second largest island, Praslin, was once thought to be the Garden of Eden. Stay nights from £1969 p.p. in a Gardenview Pool Villa, including Bed & Breakfast, return economy flights & transfers. 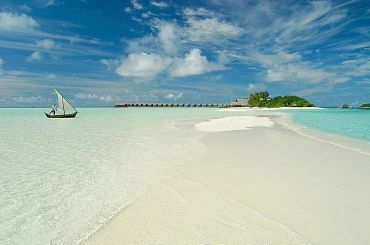 Looking for a private romantic getaway, then the Cocoa Island at Maldives, is the place to be. Nestled by turquoise blue seawaters and an opportunity to explore the exceptional house reef make the island a paradise for the visitors. Carefree environment, white sands, sprawling palm trees and a wide array of activities on the island make Cocoa Island a destination to explore. Stay 7 nights from £2299 p.p. in a Dhoni Suite, including Bed & Breakfast, return economy flights & transfers. The Shandrani Resort & Spa is another property operated by the Beachcromber Hotels Group. 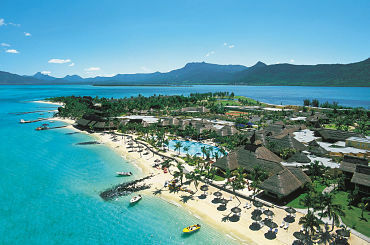 It is located in Blue Bay, Mauritius, on an attractive peninsula with marine park all around. The hotel which is set on its own private beach, and close to 3 beaches (Shandari Beach, Cambuse Beach, and Blue Bay Beach), has a total of 327 rooms, all sea facing. This broad range of accommodation gives a lot of options for families, couples, and single travelers. For your dining experience, the 5 restaurants at the hotel will serve their specializations. Stay 7 nights from £1579 p.p. in a Superior Room, including All Inclusive, return economy flights & transfers. 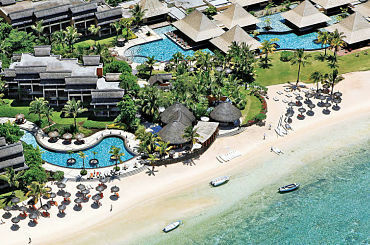 The Paradis Hotel & Golf Club is Mauritius’ finest luxury hotel resort offering the best family holidays. The hotel location is superb, on the southwestern tip of the Le Morne peninsula. It has the Le Morne Mountain and a stretch of white sand beach that frame its position. The hotel is a real landmark. Stay 7 nights from £1489 p.p. in a Deluxe Room, including Half Board, return economy flights & transfers. 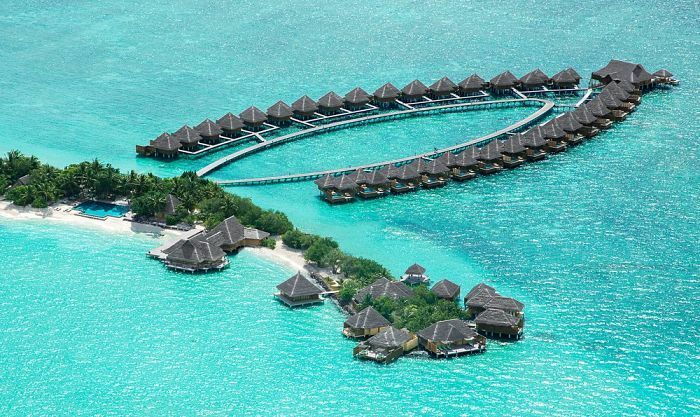 This award-winning Maldives spa hotel provides is on a pristine tropical island in south Male Atoll, just 15 minutes by private speedboat from the international airport. The Taj Spa boasts an array of over-water treatment pavilions while accommodation is in luxury thatched villas. Stay 7 nights from £2625 p.p. 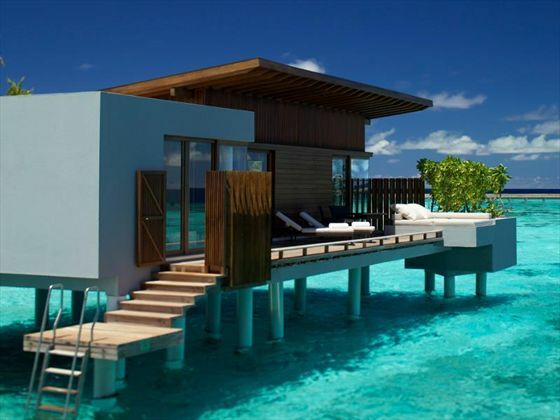 in a Lagoon Villa, including Bed & Breakfast, return economy flights & transfers. Ocean views and glorious sunsets you'd expect from any tropical island with a sophisticated and mature take on accommodation. Getting there is part of the experience too. After you fly into Malé airport, a luxury speedboat whisks you away to Hembadhu Island, where you arrive at Vivanta Coral Reef. Stay 7 nights from £2469 p.p. in a Superior Charm Beach Villa, including All Inclusive, return economy flights & transfers. Heritage Golf & Spa Resort. Located at Bel Ombre in the south of Mauritius, this new 5 star hotel offers excellent relaxation and services with a superb golf course and diving facilities and the well equipped and staffed Seven Colours Spa. Stay 7 nights from £1339 p.p. in a Deluxe Room, including All Inclusive, return economy flights & transfers.